Hi friends! I am participating in my first ever guest post today. In honor of National Family Caregivers month, we are celebrating all the caregivers in the world. Come over to Blessed but Stressed to read more of my story. There is so much I want to say to each of you. I never thought that by being vulnerable and sharing my story, I would impact so many people. It is amazing to me how this whole process has introduced me to so many amazing friends. I have always commented how sometimes you meet people and it is like you have been friends FOREVER. I feel that way about so many of you! I hope that someday we get the opportunity to meet InRL. I am reminded of a word “eucharisto.” It is a word that my colleague shared with me a year ago in his sermon on the day I shared with the congregation that I was leaving and had accepted a new call. In that sermon, my colleague talked about listing our blessings and thanking God for all the things God gives us. He later told us that the word in the text for “thanksgiving” is translated “Eucharisto.” As I sat there and listened to his sermon, I found myself reflecting on that word. And today I find myself clinging to that word again. And as I give thanks for each of you, I am also very thankful for my momma. She has been through so much. Yet she is one of the most beautiful faith-filled women that I know. Our story of mental illness will always be a part of who my mom is and who my family is. I hope that through these 31 days, I have been able to let so many know they are not alone. I also hope that I have been able to share our story and shatter, at least, some of the stigma associated with mental illness. Thank you for reading my story and walking with us through these 31 days because I am a daughter; a daughter of someone who daily lives and struggles with a mental illness. And the truth is I will always be that daughter. I want to close with a Psalm. This Psalm has become one of my favorite Psalms. I think it captures so well how I feel about our journey with mental illness. I think most specifically of this verse in the New Revised Standard Translation, “Weeping may come for the night, but joy comes with the morning.” Yes, there have been many tears throughout our journey, but there have also been times of great joy as well. According to the Miriam-Webster dictionary, power is defined as “the ability or right to control people or things; political control of a country or area; or a person or organization that has a lot of control and influence over other people or organizations.” For the most part, we see power as a negative characteristic. Earlier this week I was at a gathering of dear diaconal brothers and sisters where we participated in community organizing activities. Our facilitators taught us that power is also “the ability to act.” That definition was confirmed in the Miriam-Webster dictionary when I read this “power is the ability to act or produce an effect.” I have come to really appreciate this meaning of the word power. Power truly is about the ability to act. Yet the truth is, my dear readers and friends, each and every one of us is POWERFUL…because we have acted. No matter what your topic has been this month, you took the initiative and acted. You may not have made it the whole 31 days but you still acted. You may have gotten sidetracked by life…but that’s ok too…you still acted. You still made a choice to continue on and act. And I hope you realize that by acting, you are indeed powerful. In fact, in my mind, you are all super-heroes! Though I have never seen myself as a powerful woman…and I am sure many of us still don’t see ourselves as powerful woman, yet the truth is that God has made us into powerful woman by calling and claiming us each as God’s children. I have learned that is ok to be vulnerable and share my story; our story of mental illness. In fact, it is so much a part of who I am as a child of God. It took me a really long time; 18 years to be exact, to be open about our journey of mental illness. Yet for some reason, that hot June day in August at SuperAwesomeBibleCamp, my mouth opened up and the words flowed from them. As I, for the first time, openly shared about our journey with mental illness. It changed me and freed me to truly be who God created me to be. What an unbelievable amazing POWERFUL gift! Yet I still don’t always see myself as a powerful woman! However I think my dad has seen my sister and I in ways that my father in heaven does too. Dad sees my sister and I as strong and powerful. He is a huge wrestling fan and wished he had boys to teach wrestling too. Yet some of my favorite memories of growing up are of my dad, sister and I wrestling on our living room floor until Mom had to yell at us because “someone is going to get hurt.” I think Dad knew he could wrestle with us because we could handle it; because we were stronger than we ever gave ourselves credit for. But Dad saw that beauty; that power, that grace in his girls…and still does! Power is not about who is the strongest, wisest, or most in control! Power is not about being the best in the class. Power is the ability to act when you know you need to. Without the power I possess, I wouldn’t have ever shared our story of mental illness. Without my power, I wouldn’t have taken this #write31 day challenges. I wouldn’t have met you through your own blogs and commenting. So I want to say to each and every one of you, thank you; thank you for helping me realize my own power. And may you all find your own power as well. This picture was shared on Facebook today and oh how true these words are! I am keeping it simple today since I am traveling home from a gathering with dear Diaconal brothers and sisters. Tears are so telling of my story! I think they are telling of many of our stories because they say a lot about our identity. They express the grief we experience through our deep dark places. I’ve always been a crier. In fact to this day I am still a crier. And many times those tears; that grief–the grief I experience because of our journey of mental illness often surprises me. It comes at unexpected times and in unexpected places. Yet it is at those times I have been most aware of the connection between my story and my tears. There is indeed value in our tears because our tears tell a lot about who we are. Through the waters of Baptism, I have been called and claimed as a precious child of God. And as a precious child of God, God has given me gifts; given each of us gifts to share with the world. It is not easy for us to let others affirm us. In fact at times it can be quite uncomfortable. Yet I believe we are still called to share our stories. A friend affirmed gifts in me by sharing that I am the “light in the midst of the darkness.” I bring a light into dark places. She can name the people and places that I have marked! Wow….what a powerful statement and affirmation! Hearing that makes me realize even more how my families story of mental illness is linked together. I am many things but most importantly I am a child of God who is also a daughter of someone who lives and daily struggles with mental illness. By knowing my identity, I know that God will always accompany me through those dark places and will never leave me in the pit. God is a great God who makes things new. This quote was shared on Saturday on the (In)Courage blog by Jennifer Dukes Lee in her post on Friday. Talk about a quote stopping you in your tracks! I think I must have read this quote at least three times. Words often have the power to change us, bless us or even make us mad. For me, these words touched my heart. Because I truly believe that this is what I’ve been trying to do throughout this #write31 days challenge! My families story of mental illness has changed each of us. It has made us into the people we are today. It took me a long time to be able to share our story; 18 years to be exact. I know that I am powerless to this illness, and so I need to trust in God and the promise that God will never leave us or forsake us. I’ll be completely honest here. It has been and still is hard to watch my Mom at her highest highs and most especially at her lowest lows. In fact, there have been times that I wished I could take the illness away for Mom and my other family members who daily struggle. Yet I know that is not the reality of our story. But I still need to continue to share our story. Mental illness is that deep place for me. And without experiencing that deep place, I wouldn’t be open to hearing others stories. I wouldn’t be able to walk with others in their journeys. I wouldn’t be open to sharing in the pain of others. But because I have experienced that deep place, I am able to do all these things. I am able to know that God will pull me; will pull all of us up out of the pit when we need to be lifted out of the pit or out of the ditch as the Message translation states. I read these words and I know that they are true. Yet at times like this when we hear of another school shooting, I find myself having a hard time trusting in them. Why do some feel the need to resort to violence and death? During times like this, people often ask where was God? I believe God was in the school with those children. However I know that that is not easy to trust in. Yesterday as I heard the news of another school shooting, my heart was breaking…and still is breaking. And I am also a little angry. I am angry that our kids cannot go to school and be safe. I am angry that so many are so overcome by darkness that they cannot help but make bad choices. (And yet I am also thankful for those that have gotten and continue to receive the treatment they need!) I am angry that there is such a stigma that so many don’t understand the illness. I am angry yet my anger is overcome by the tears streaming down my face; tears for what my mom has taught me about showing love, tears for all the lives lost in school shootings, tears for the conversations that need to take place in a scared scarred world. I am reminded of my dear mother who has lived most of my life with a mental illness, yet she is one of the most faith-filled women I know. I swear she would give the shirt off her back. She simply loves unconditionally. She has been an amazing model of God’s love for me and I am so grateful and thankful for that. But I find myself wondering where are those examples for those youth who are hurting and don’t feel loved? How do we show them that they are loved? How do we show them that there is hope in the world? I don’t know the answers, yet I want the answers! And I want those answers sooner rather than later. I want the answer not to be violence. I want the answer to be kindness and love and grace. I want…. Today I am praying for this one in Marysville who thought their only answer was violence. Today I am praying for Eric and Dylan who walked into Columbine. Today I am praying for all those who lost a child almost two years ago at Sandy Hook. Today I am praying for Adam who felt his only answer was to walk into that school two years ago. Today I am praying for all those youth who don’t feel loved and who are hurting. Today I am praying that we will be able to answer these questions that my friend posted. Today my prayer is simply…come, Holy Spirit, come…help us to show them light and love and hope! views and are not necessarily the views of my church as a whole. And when we gather together in “koinonia,” we see the person not for the illness but for who they are as beloved children of God. I have volunteered with Special Olympics and they continually educate to get rid of the unpleasant descriptions of these individuals such as the R word. They teach us to say, “T lives with a disability” rather than “T is disabled.” In other words, they are not defined by their illness. I think we would do well to use that language when talking about any kind of illness. And when we see the person for who they are which is hard, hard work sometimes, we see their humanity, their vulnerability, their brokenness, their intelligence, their wonder, their awe and their beauty. (Thanks for commenting and leaving this reminder yesterday, C!) I constantly see these things in my Mom and sometimes, if for a brief moment, I forget that she is living with a mental illness. Seeing my mom and others daily struggle with a mental illness, it is so important for me to see them for who God created them to be rather than define them by their illness. I think when we are able to do that we can find a greater freedom and grace in our relationships. I also love what my friend HW said during our class this summer, “When it (HW meant Alzheimer’s disease but I think you could replace it with the words mental illness, cancer, etc as well) strikes, may we listen well to the heart of God, listen well to the heart of the other, listen well to the heart of your own, and try to be Christ to them as they are the body of Christ before you.” Amen, my friend, Amen! Together it is important for us to reach out and to listen well to each other knowing that together we are the body of Christ. And together we “bear one another’s burdens” knowing we are not on this journey alone! As I have blogged during this #write31days, the reality of how many individuals and their family/friends have been affected by mental illness has been confirmed. In fact, according to the National Institute of Mental Health, in 2012, an estimated 43.7 million American adults were affected by a mental health illness. And there are more cases reported daily. So again my plea is for us to continue to educate about mental health issues. I am not a health care professional but I appreciate and am thankful for many organizations and people who are helping to educate about mental illnesses. Today I thought I would share a couple of organizations that are doing just that. Actress Glenn Close and her sister (who lives with a mental illness) started the organization Bring Change 2 Mind. Their mission is “to end the stigma and discrimination surrounding mental illness through widely distributed Public Education Materials based on the latest scientific insights and measured for effectiveness. To act as a portal to a broad coalition of organizations that provide service, screening, information, support and treatment of mental illness.” You can find more information here BringChange2Mind. I also appreciate all that the National Alliance on Mental Illness does to educate about mental health issues. NAMI works to offer hope and healing because those living with mental illnesses need a community that supports them, their families and their recovery. NAMI works every day to save every life. You can find more information here National Alliance on Mental Illness. Earlier I also wrote a post about Media and Mental Illness that talked about the book and movie Silver Linings Playbook. If you haven’t already checked out the book or movie, I would definitely recommend that you do. I also came across this book Blessed Are the Crazy by Sara Griffith Lund. I have not read this book myself but I hope to check it out soon. I was incredibly surprised by the number of books dealing with mental illnesses when I typed “mental illness” into the search engine of GoodReads. Are there any books, movies, resources that you would recommend for those who daily live with mental illness and their family/friends? The other day I was brainstorming ideas for my #write31days series and the book “All I Really Need to Know I Learned in Kindergarten” by Robert Fulghum popped into my head. Today my post is about Everything I Really Need to Know I Learned from my Momma.” I have learned that when you are kind to others; they will be kind to you. I have learned that when you are willing to give the shirt off your back and help out someone, they will return the favor when you are in need. I have learned what it means to share “unspeakable joy” with the world. I have learned that sometimes its ok to indulge in chocolate or soap operas or whatever to take your mind off the troubles of the day for a moment. I have learned that its ok to take a nap when your body is tired. I have learned what it means to believe that you are a beloved child of God; called and claimed by God. I have learned what it means to be nurtured in faith and pass on faith and values. I have learned to say sorry and really mean it. I have learned what it means to have someone proud of me for my accomplishments; graduating high school, attending and graduating from seminary, my first job, etc. I have learned to work hard. I have learned to remember specials day; Birthdays, Anniversaries, etc. I have learned to pick up basin and towel and wash the feet of all God’s people. 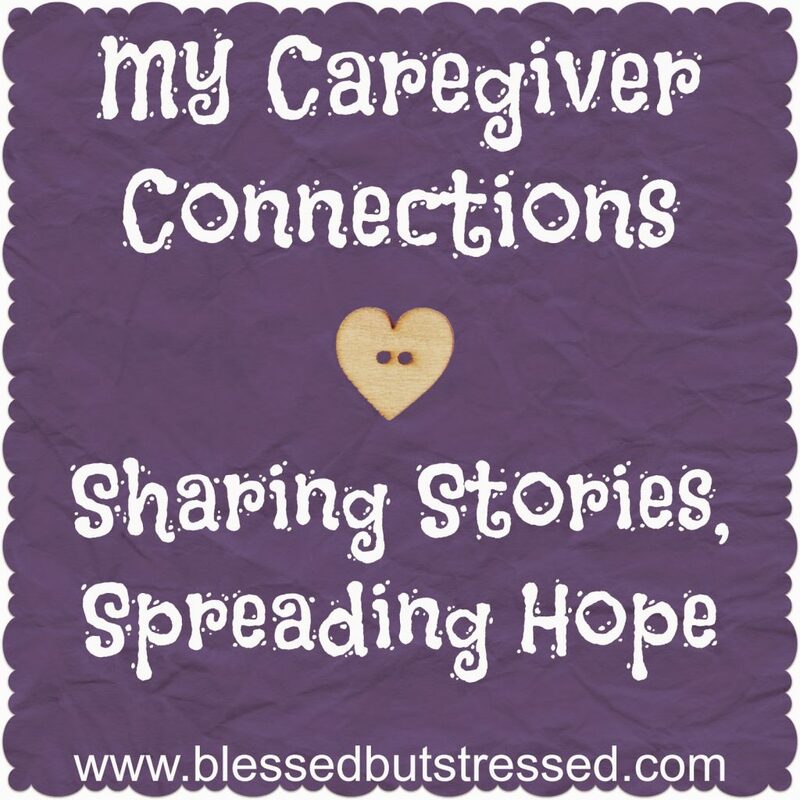 I have learned to share and educate about our journey with mental illness. I have learned what it means to be loved by God in the midst of our brokenness. I have ultimately learned what it means to love and be loved! !